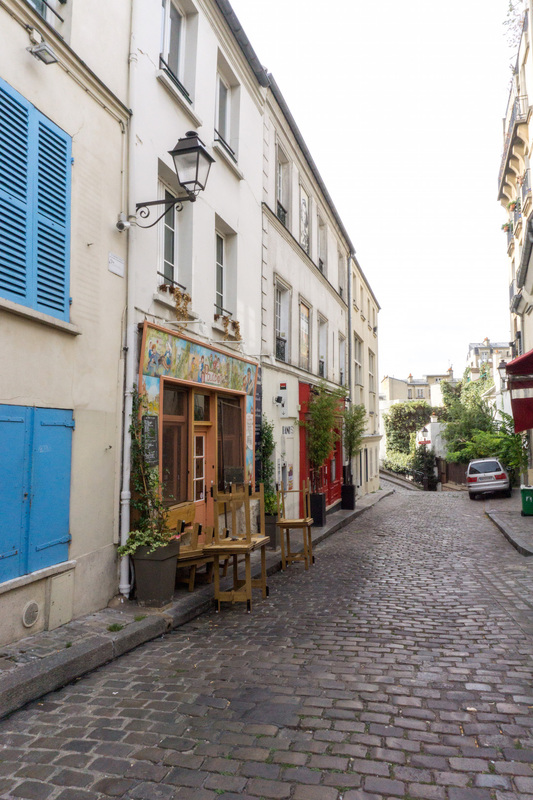 Montmarte might be the prettiest district in Paris. I realize that that is a bold statement, considering the overall gorgeousness of Paris. 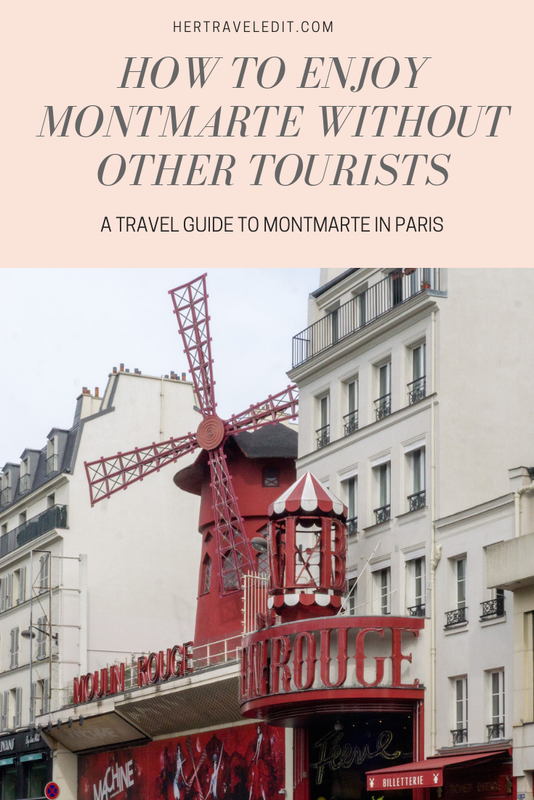 Notice however, my use of the word pretty instead of gorgeous while describing Montmarte. 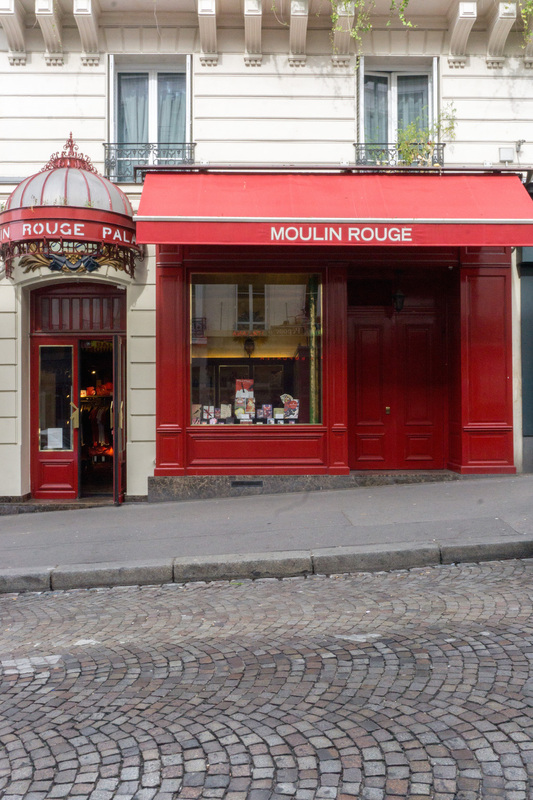 Montmarte doesn’t exude the sort of elegance that Hausmann Paris does. 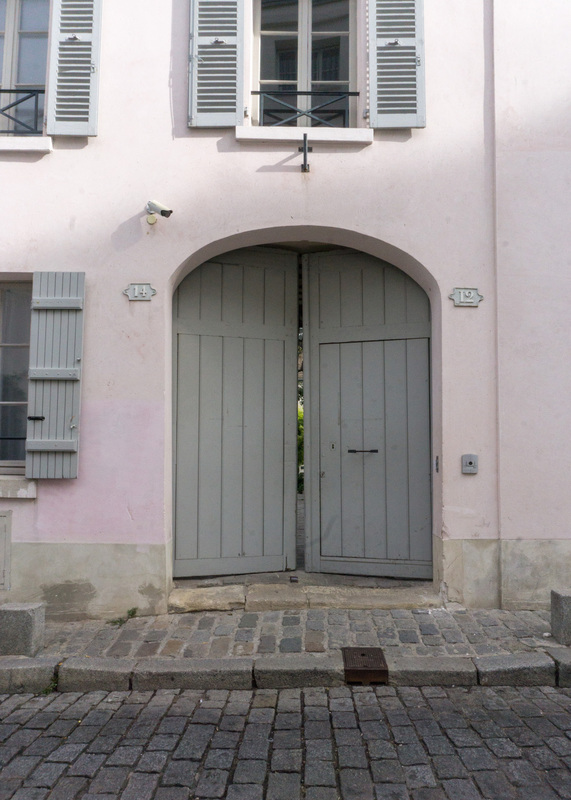 It used to be a village (Butte Montmarte), and still retains the simplicity that gives it it’s charm. 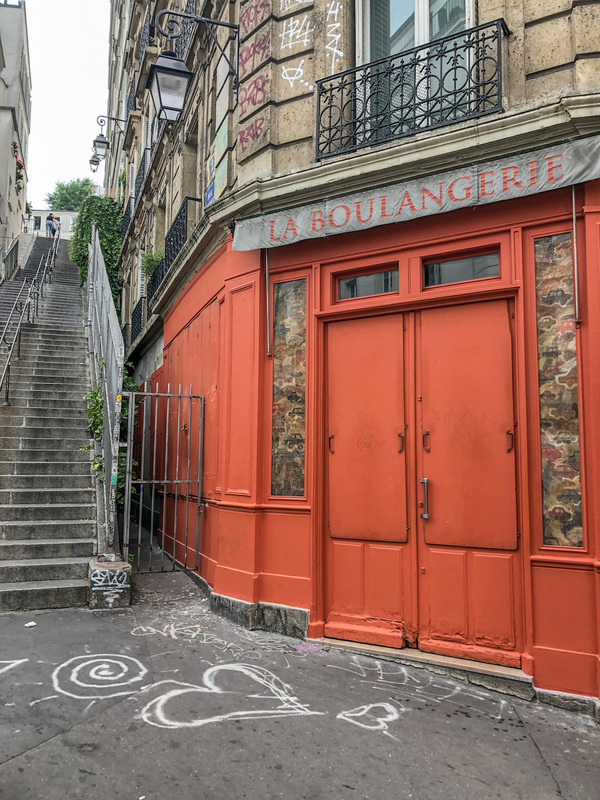 Since it is on a hill, slightly away from the center of Paris, it took a while to be gentrified. 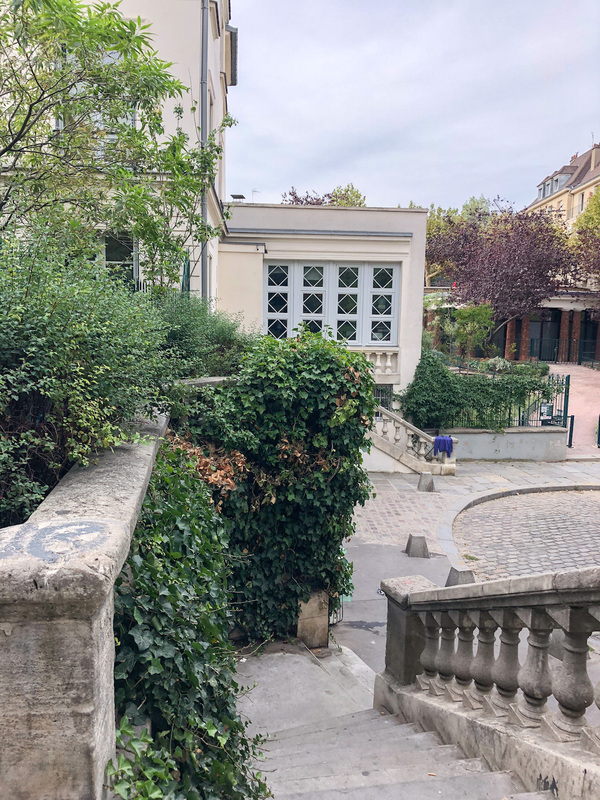 However, both gentrification and Instagram have by now well and truly discovered Montmarte. Hence, per usual, I would recommend heading up there early. 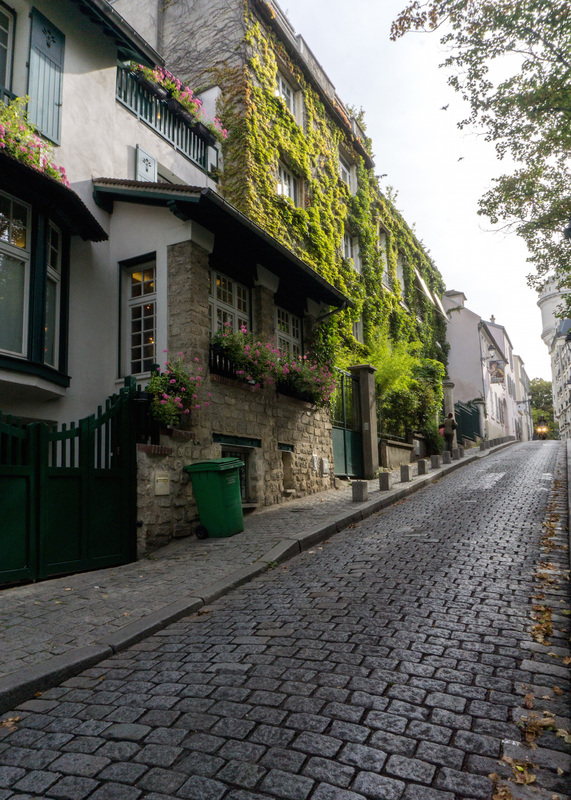 You deserve to enjoy the oh-so-pretty streets in their peaceful, crowd-free glory. 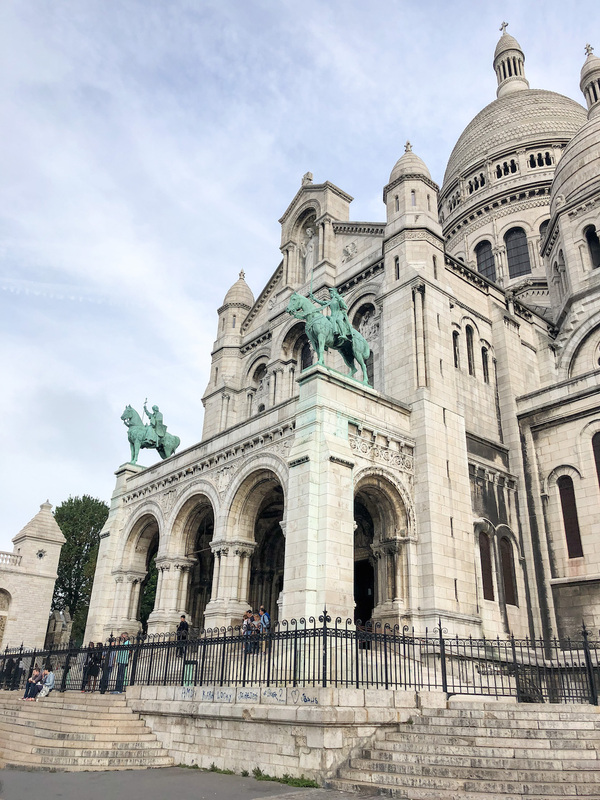 We took the metro to Montmarte. It is very simple, and the metro runs very frequently on weekday mornings. We got off at the Abesses metro station. Unsuspectingly, we took the stairs even though we saw perfectly healthy people heading to the elevator. The reason became all too clear after the first hundred odd stairs – it’s a hike even to get out of the station! So dear readers, here, I have saved you from burning off those croissants in a hurry – note this advice. 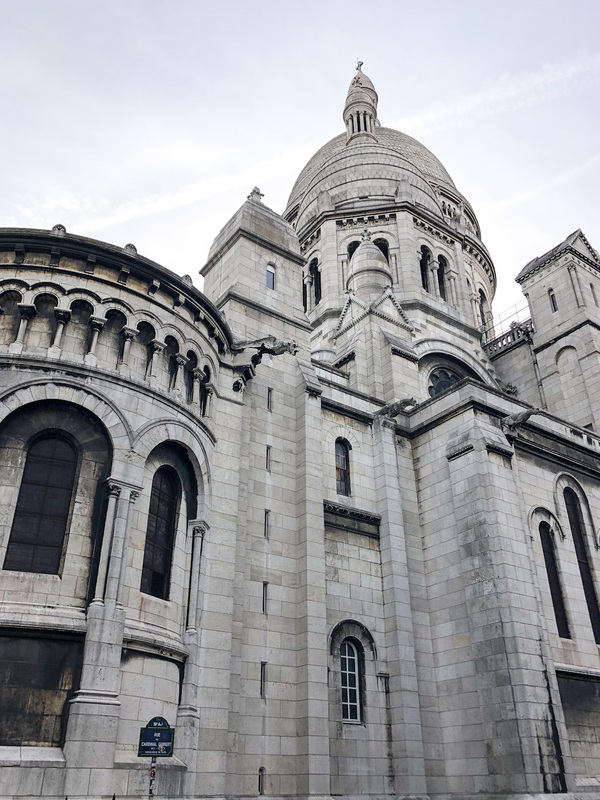 Once you huff out of the metro station and breathe in the fresh air, the logical next stop is the Sacre Coeur. The walk there is pretty enough, and the view is lovely. 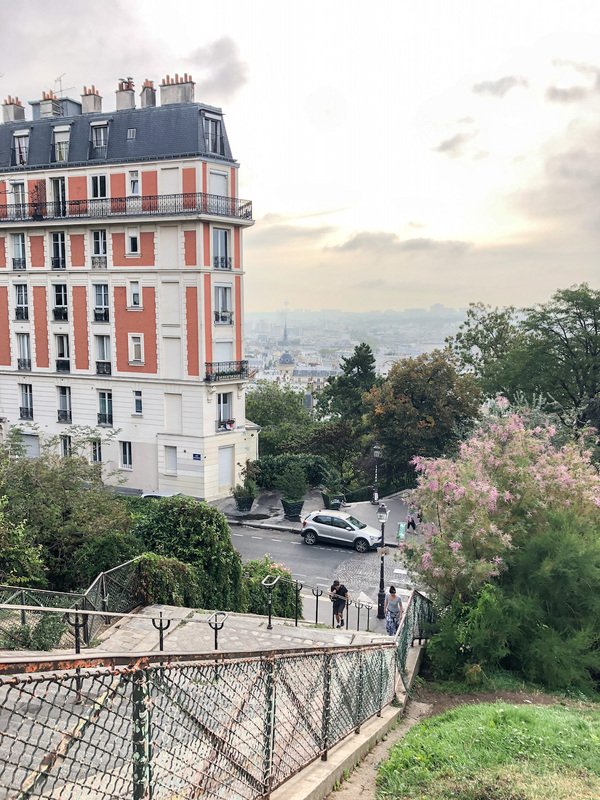 It’s a bit of a steep walk, so you could also opt to take the funicular instead. 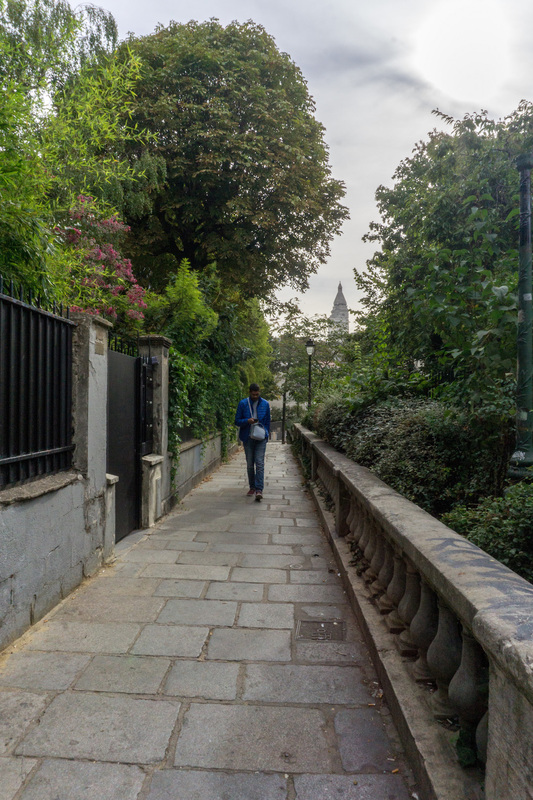 This will probably be the most crowded part of Montmarte, so getting there earliest is the best. 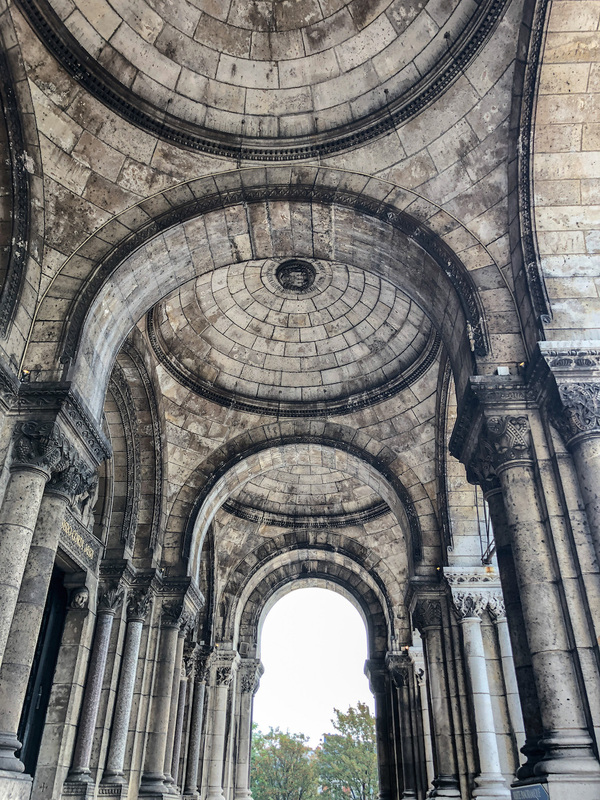 Avoid the touristy streets with Irish pubs and souvenir shops. You can find those anywhere. 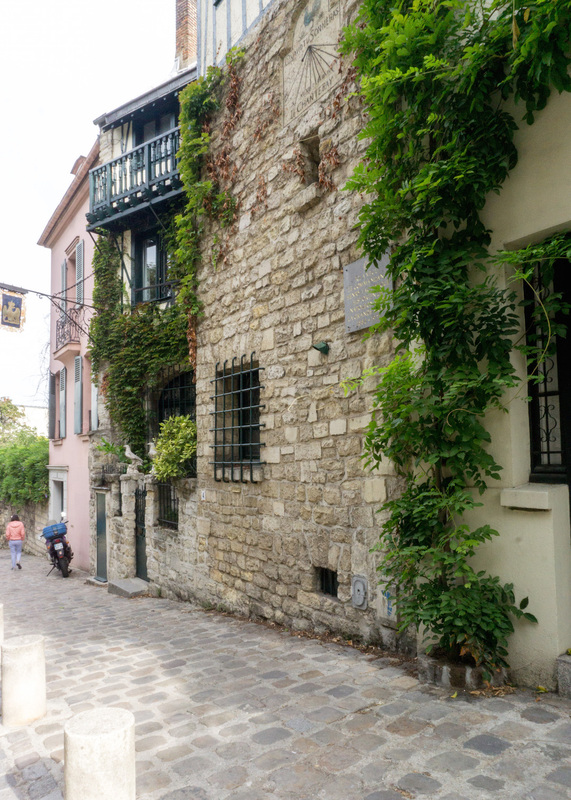 Rather, get lost in the side streets, the little cobbled alleys. That being said, you mustn’t skip the insta-famous La Maison Rose. It’s really pretty, but the street it’s on is prettier. 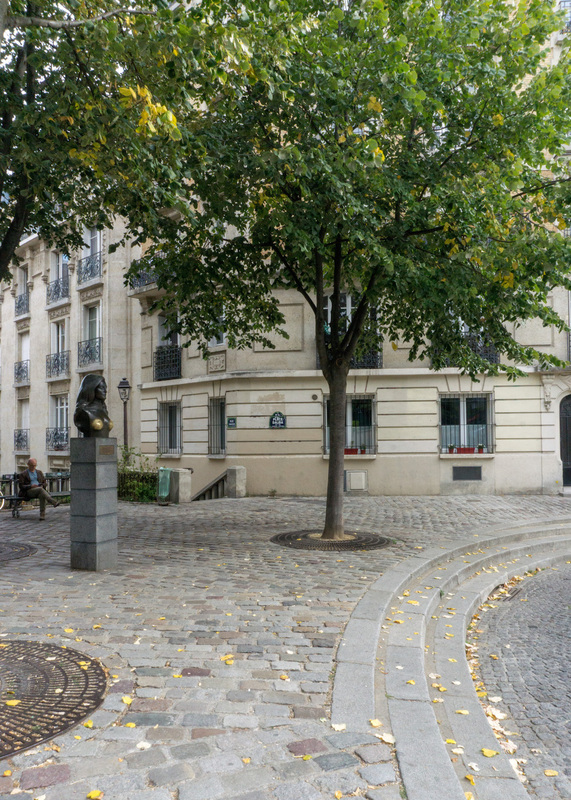 And the street across, Rue Cortot, is even prettier! 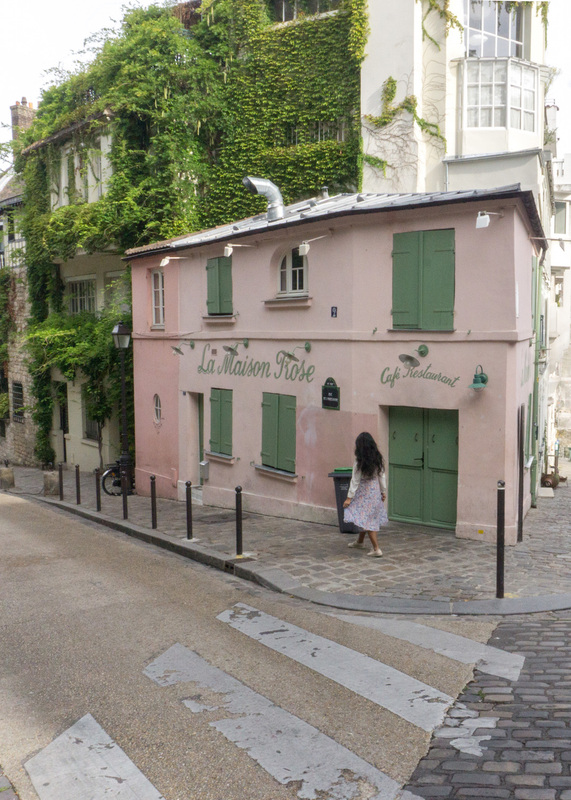 Walk down the La Maison Rose street to the Buste de Dalida. It seems like a much-touched “bust” but it’s cool nonetheless and the view behind it is pretty. 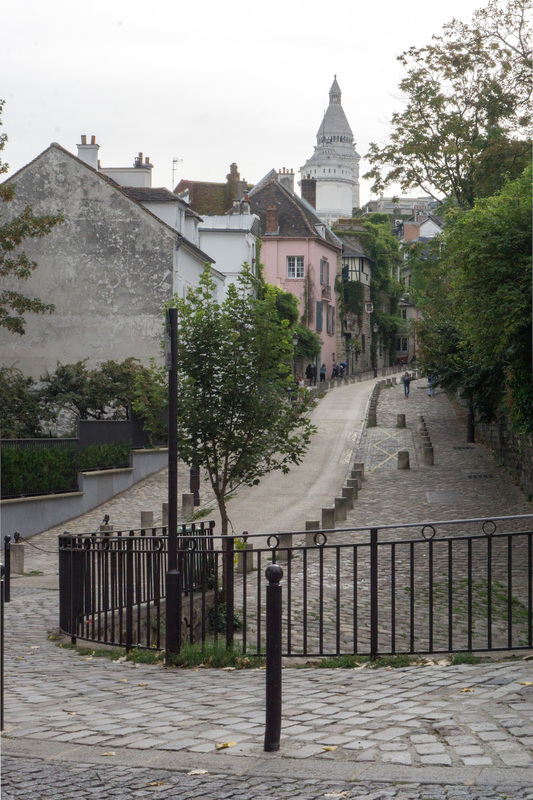 Then walk down the pretty path next to it to see some more beautiful streets. 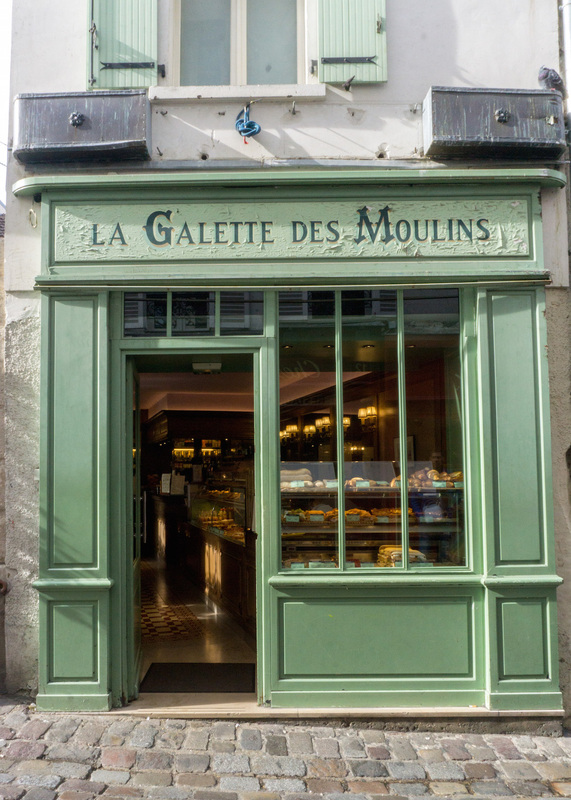 Next, walk down to Le Moulin de la Galette. 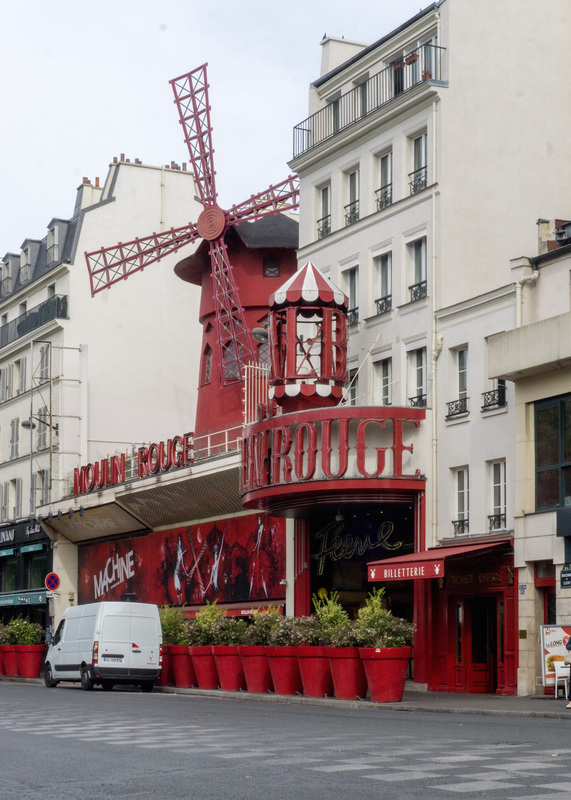 The windmill outside might remind you of another famous wind-mill in Montmarte. However, this windmill was frequented by Renoir and Van Gough, who liked the fresh bread made from the flour ground by the windmill. Windmill to table. 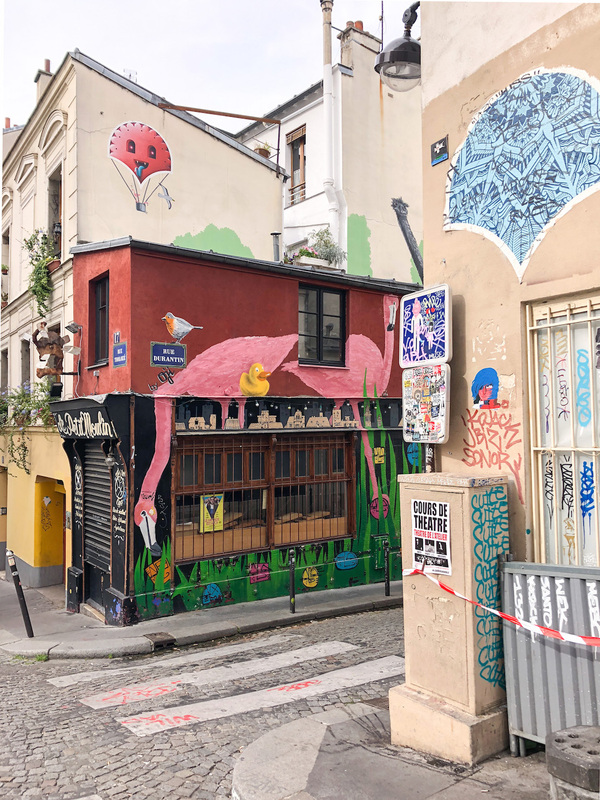 After admiring the windmill, and / or stopping for a bite to eat, continue walking and enjoying the Montmarte street art. It’s truly unique and quite interesting. Want some croissants or coffee after all the calories you burned on those steep(ish) slopes? Apparently, Pain Pain bakery is supposed to be excellent (it was closed when we went on Monday). 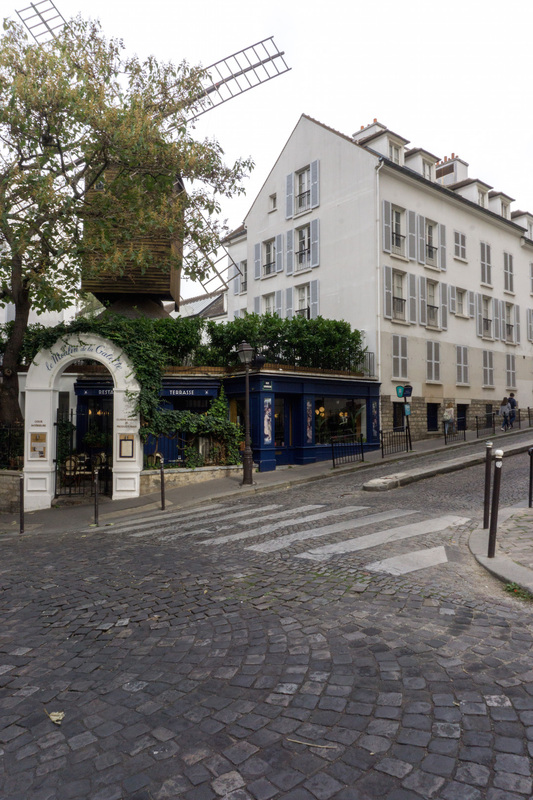 For a good cup of coffee, Cafe Lomi is one of the more famous Paris coffee-shops. 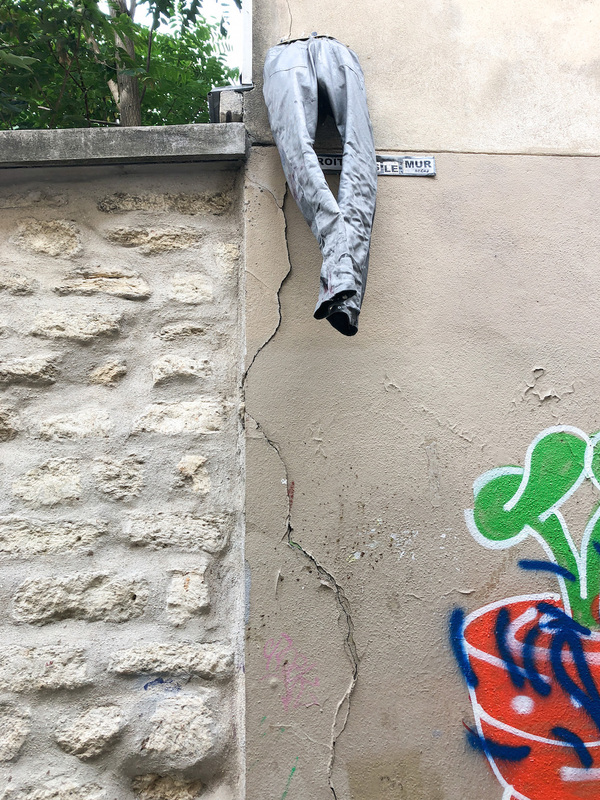 Finally, as you are about to leave Montmarte, you will find something that you recognize. Even the bus tour we took when I visited Paris when I was 12 had driven us past this. 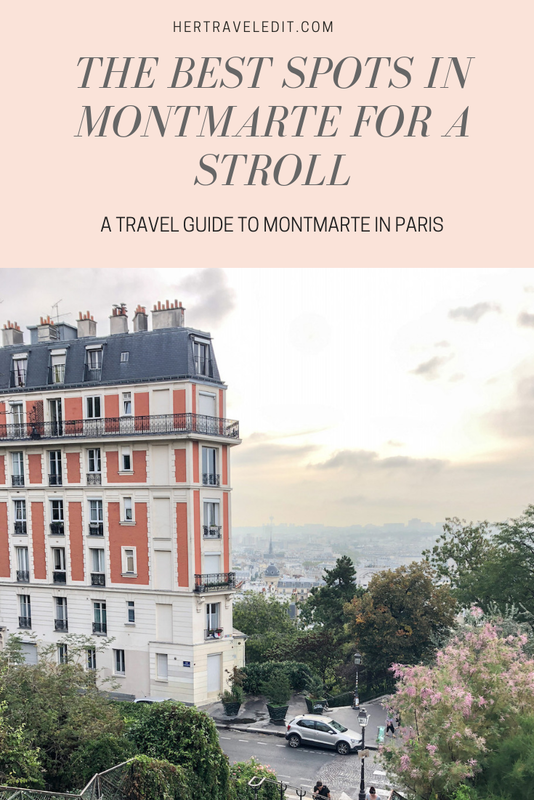 All in all, I highly recommend walking through Montmarte during your Paris trip. 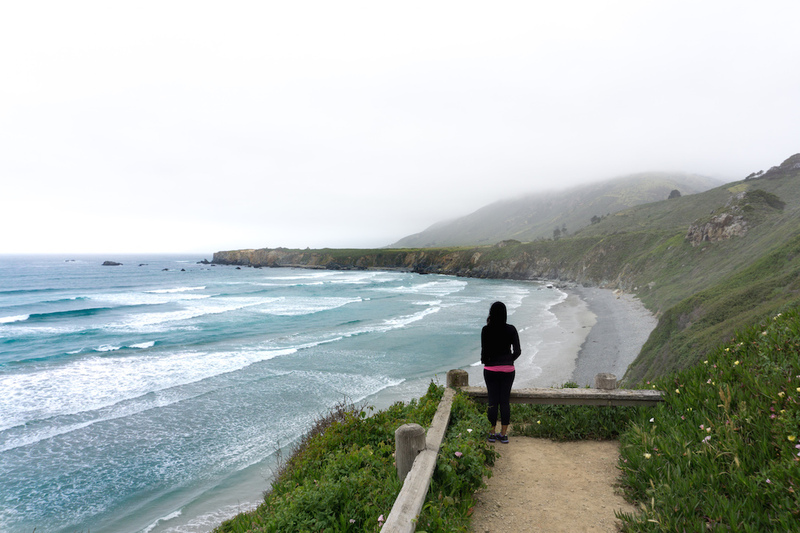 Spend as much time there as you wish, but you will definitely not regret it! The pretty streets and facades are calling out your name! 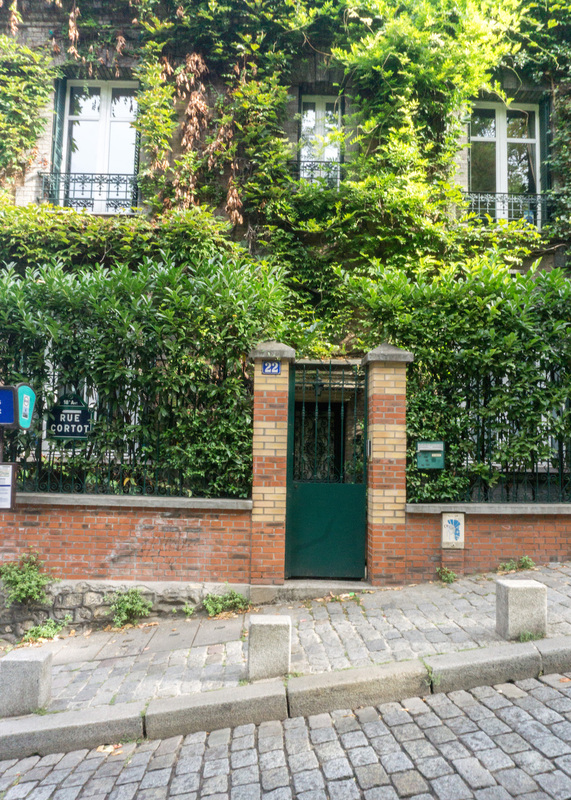 I really also wanted to visit the Museum of Romantic Life, which is very close to Montmarte. 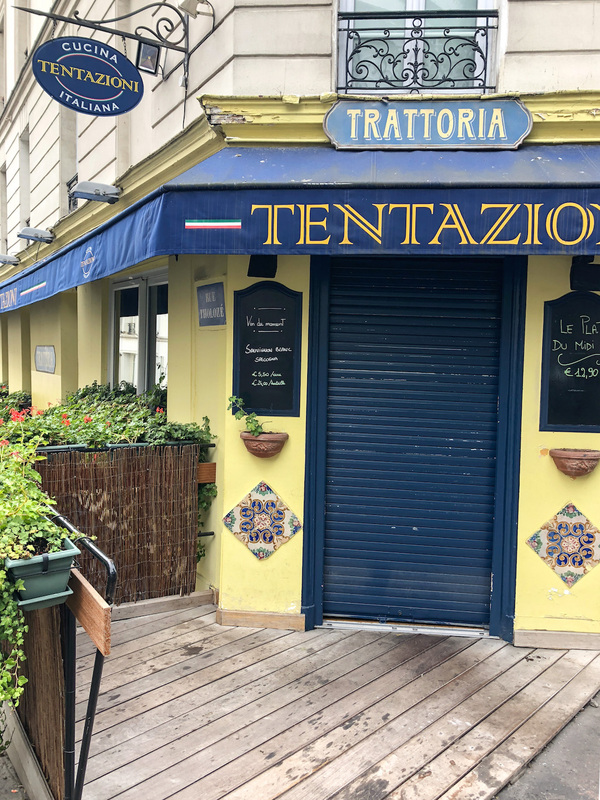 Unfortunately, it was closed on Monday. Hope you get to go on your visit! 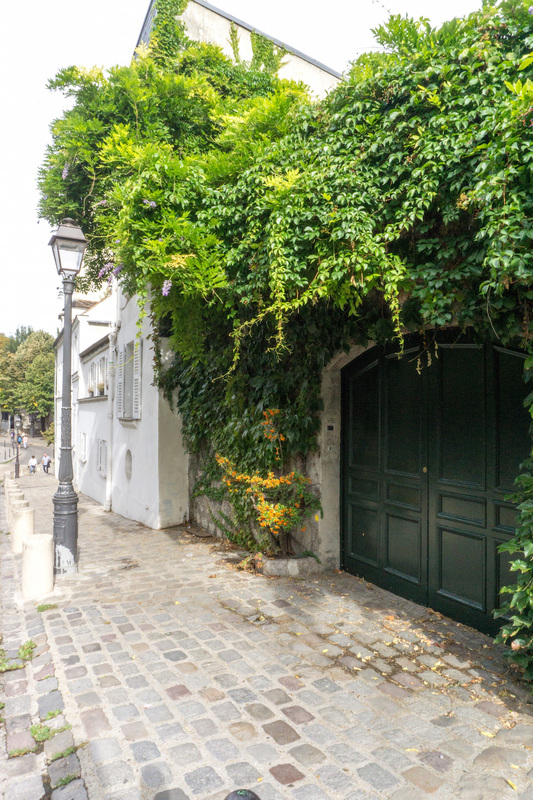 For more Paris travel inspiration and planning tips, check out my comprehensive guide to Le Marais and my fun little post on the prettiest doors in Paris! 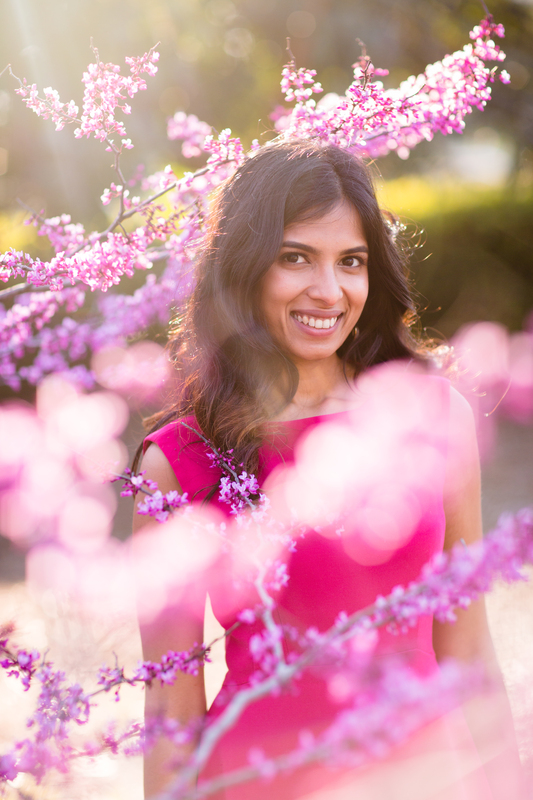 Superb Photos and write up! makes me want to visit immediately.